The Transient Response System (TRS-1) is a deployable architectural base that quickly assembles a tower to provide immediate shelter for victims of natural disasters such as earthquakes and floods. 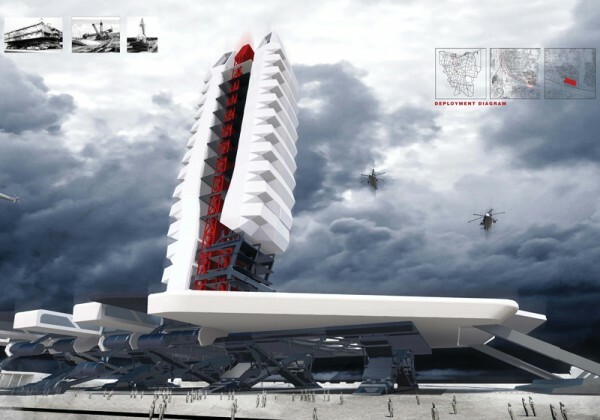 This structure designed by architecture students Adrian Ariosa and Doy Laufer at SCI-Arc in Los Angeles is proposed for cities like Jakarta which could be underwater by 2025. 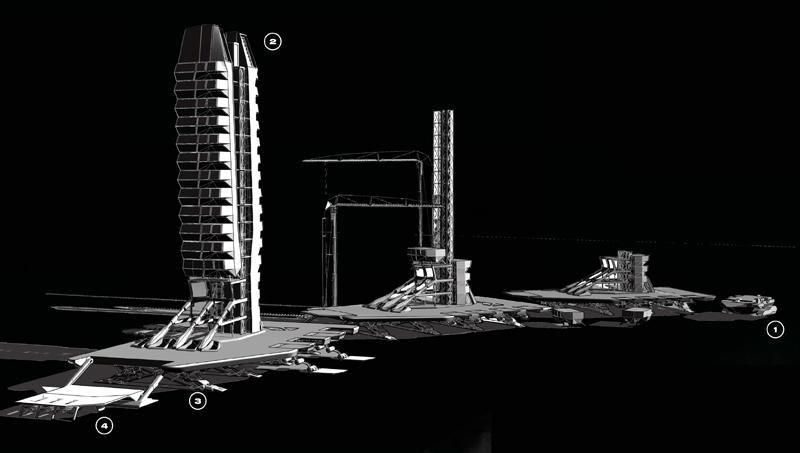 Once a flood subsides, the architectural base could serve as a rally point with a residential tower and a civic plinth for diverse programs including factories, refineries, and recycling plants. The residential tower is comprised of 3-story modules that adopt an open program to accommodate as many inhabitants as possible with adequate air, light, and space. Deployment – The vehicle arrives and deploys the base. The carrier returns to the main factory. 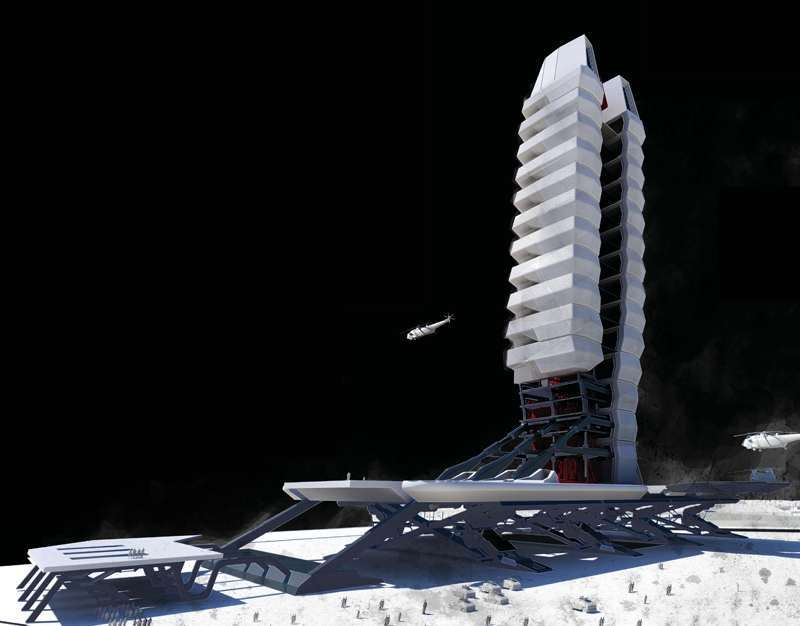 Stabilization – The tower expands and plug into existing infrastructural systems. Expansion – The tower is raised as the base continues to expand and merge with the existing urban fabric. Occupancy – The structure is opened to the displaced residents. Operation – The residents are trained and helped to rebuild their homes and neighborhood. Progression – The city is completely recovered and the TRS-1 could become a permanent structure for necessary infrastructure or could be dismantled and transported to a new disaster zone.